The Channel F was the first programmable video game system, having plug-in cartridges containing ROM and microprocessor code rather than dedicated circuits. Not a very popular or entertaining system, it was nonetheless important at the time for having a number of original features which were copied by later more successful systems. Fairchild released twenty-six different cartridges for the system, with up to four games being on each cartridge. The games included sports, such as Hockey, Tennis and Baseball, educational, such as Maths Quiz, board games, such as Checkers, and shooting games, such as Space War. The cartridges had labels that contained the game instructions on them and each were given a sequential number. In this respect Fairchild started a trend in trying to boost game sales by numbering them and so appealing to consumers who wanted to complete their collection. 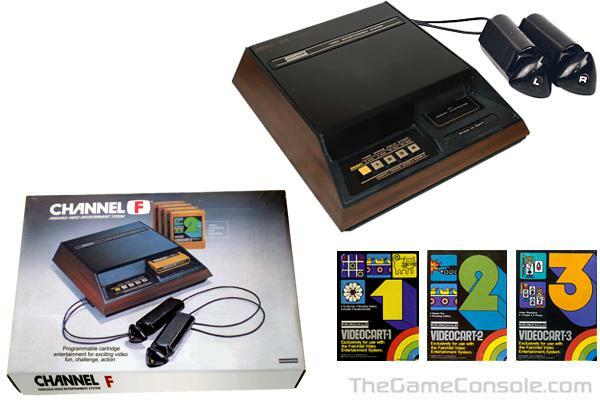 The Channel F console's popularity lowered when the Atari released their VCS in 1977 as the VCS had much better graphics, games and sound.